Daisy Fried’s new collection, Women’s Poetry: Poems and Advice, illuminates issues that are both specifically feminine (i.e. mother-daughter paradigms) and gender neutral (being American in a foreign land). Divided into four numbered sections, the poems explore the layers of complicated relationships and expose the emotions therein. Fried shows us how beauty forces us to notice it, even when we’d rather not. 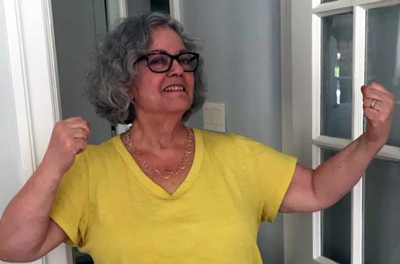 Through several reflexive lines that connect to other poems within the text, she speaks to the multi-layered nature of art. 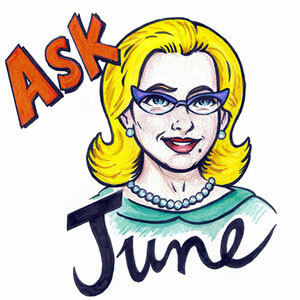 The Advice Column Section gives Fried latitude to launch a sweet and snarky rant against those who place themselves outside and against the world of women and words. How absolutely accurate, and satisfactory, to hear that the only difference between a male poetess (she “applies the term poetess to men and women, good poetesses and bad”) and a female poetess is that a male poetess is free to overtly comment on another male poetess’ body, whereas no matter how far we’ve come, body image issues can remain a no-fly zone for female poetesses. Her advice to Mr. Martyr (“try champagne, oysters, and mopping the damn floor for a change) reminds us that nagging, either a poet or a poem, will not yield the desired results. In “Torment”, Fried positions the problems of wealthy undergrads next to those of the poet (“I’m a writer, /not a teacher”) professor. The economy has introduced these neo-adults to a world in which they do not automatically succeed and that threatens their sense of entitlement, even as they continue to be entitled. For them, poor interviews mean a blow to self-esteem, the tension of angry parents and the need to dip into trust funds. For the “not-quite-40” pregnant poet, whose interviewer has asked whether or not her impending motherhood will allow her “to be a literary mama to [her] students,” this means continuing to search for a job she’s not even sure that she wants. Everyone in the space is in transition, or about to be, and every one of them is afraid. Fried explores mother-daughter connections in “This Need Not Be a Comment on Death.” She gives us a three-generation chain of mother-daughter links in which language forms barriers, not bonds. In the primal space of the birthing room, where we expect only physical pain, words weave an extra layer of discomfort. “Never a caress without a complaint” she says of her mother, who has delivered what feels like criticism even while providing what’s meant to be support, and who leaves after receiving what feels like a rejection, thereby missing her granddaughter’s birth. Fried refers to herself as “a plotline”, presumably in her own daughter’s story, reminding us that pieces may get lost in the telling. “Shame and Go Home, 2004” examines the complexities of liberal Americanism in Rome. The narrator and her partner are commended for speaking “pretty grammatical English for Americans.” The inherent and unintentional condescension here echoes the prejudicial overtones of white Americans who are surprised to hear standard English from the racial Other, thus putting the narrator in an unexpected place of discomfort. 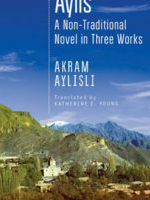 Indeed, the narrator wrestles with injustice in several poems focusing on the expulsion of gypsies from Rome, viewed from multiple perspectives, causing readers to question our own ideologies from the position of the inner or upper class, as well as from the position of the Other-though-still-acceptable. 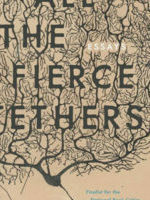 Though Fried titles her collection Women’s Poetry, both genders can and should explore her work. The target audience may be women, but there is much here for all readers.